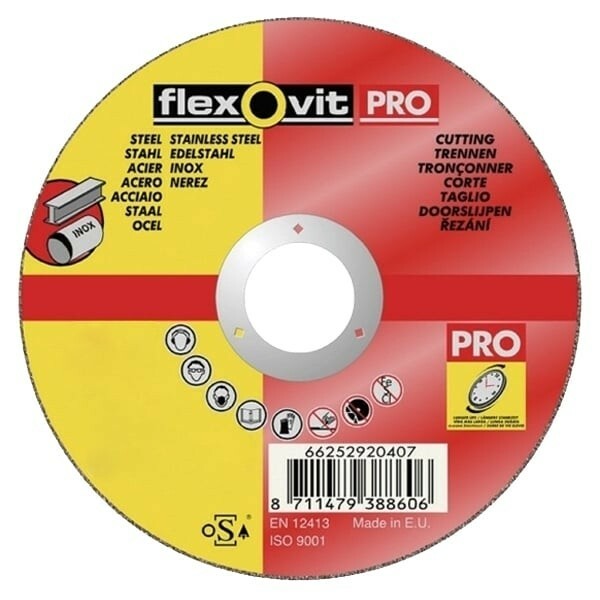 Professional Grinding disc ideal for Grinding all metals including stainless steel. Reduced noise, less dust and minimal workpiece wastage. Aluminium oxide. Grinds steel and general purpose metals.